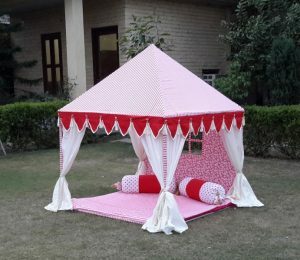 Our little girls are like Angels, and you can bring a twinkle in their eyes by giving them some unique gifts this festival season ! 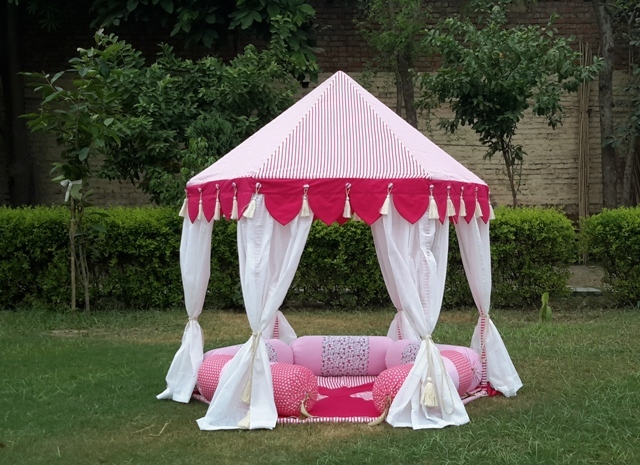 We would suggest a Princess Tent, an open tent all dressed in pink and white colors to charm your young princess. 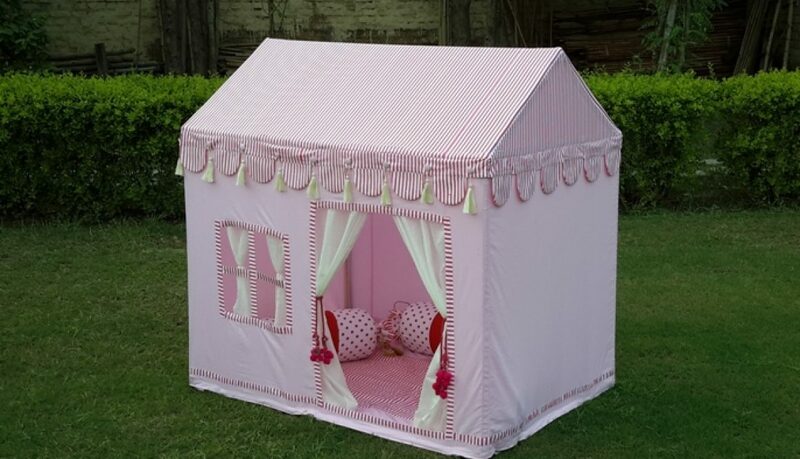 Secondly, a beautiful Doll House Tent for Girls is another perfect choice, it is an enclosed room, within your larger living room. Our young masters deserve a play area of their own, a territory of their own where they can play with their cars and super hero’s figures and be themselves. Gift your children the innovative toys that keep them away from gadgets and phones and let their childhood bloom, they will love to build their own Kids Tent with the help of the Erection Manual that accompanies our each Tent, so help them to bring out the best in them. 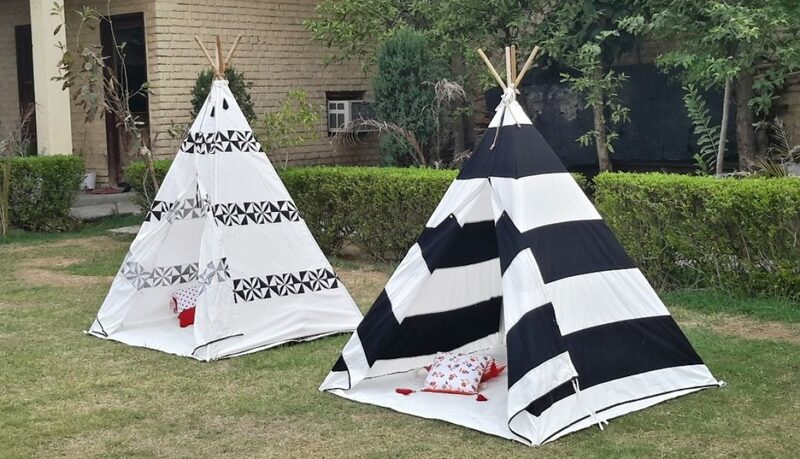 Our unique Teepee Tents are very easy to put up and play in, the Kids love to play in them and you can easily place them in the garden or your kid’s room. 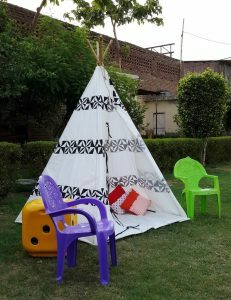 We are best manufacturers and suppliers of all types of Kids Tents, Kids Teepee Tents, Kids Viking Tents and Play Tent House for Kids. 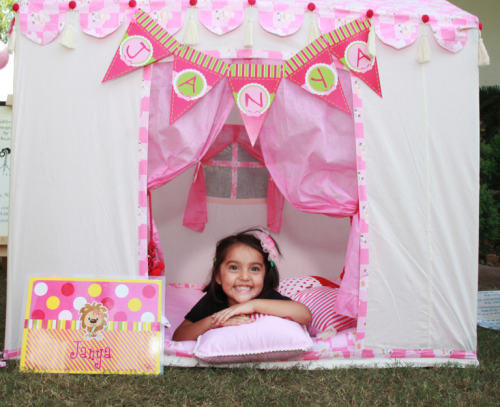 Looking for Christmas Gifts for Kids ? 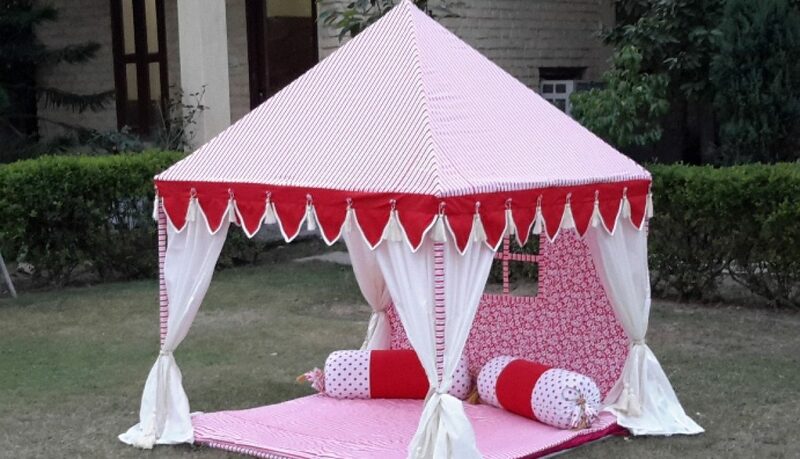 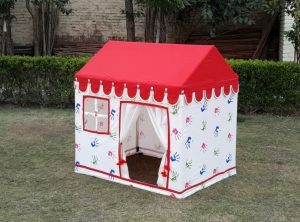 This Red & White Hut tent for kids is a super hit with both Boys & Girls. 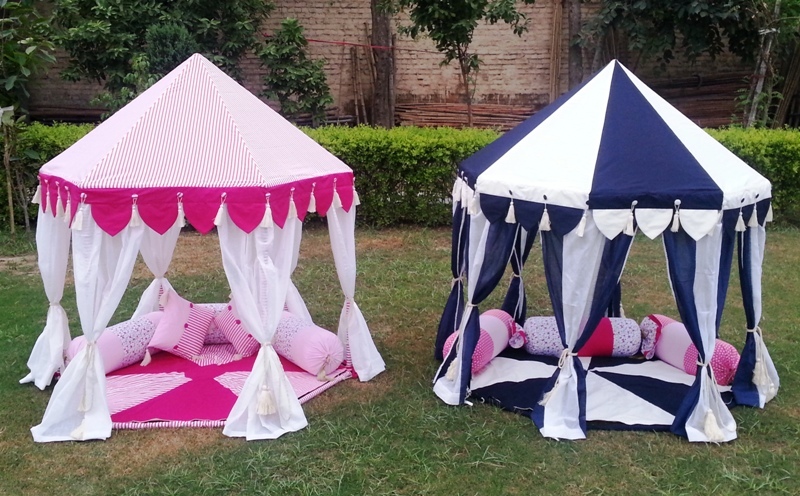 It is the best Christmas gifts for kids this season. 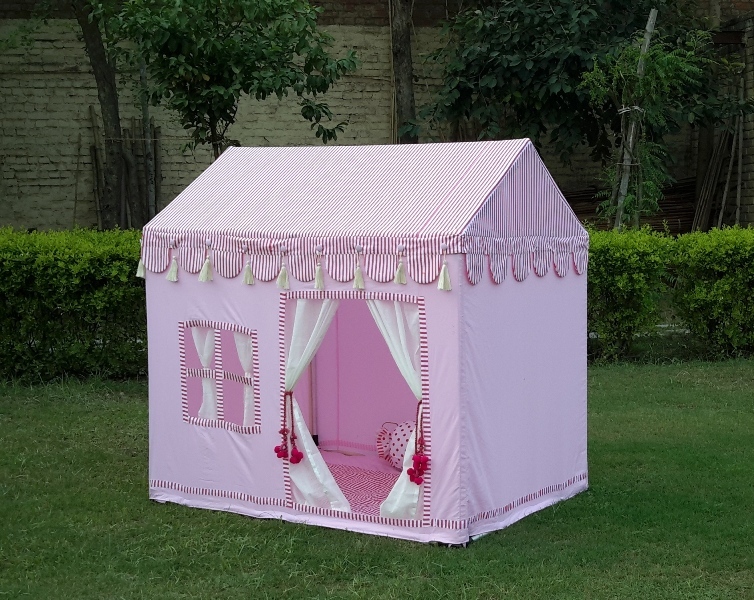 Kids playhouse & accessories are the latest trend & the best gifts for children. 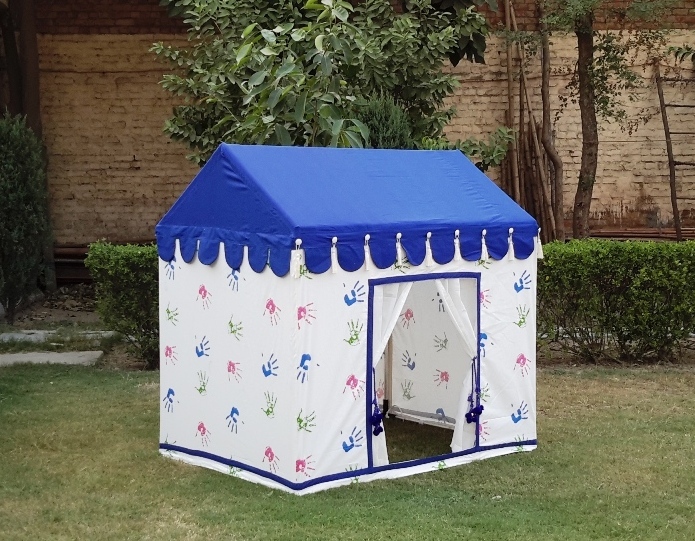 A child always wants to play in a tent and you can make this dream come true for the special child in your life by gifting him or her a beautiful playhouse tent on Christmas, the festival of gifts. Best features of our Kids Tents are that they made up of breathable organic cotton, that lets the child breathe properly and does not suffocate the child in summers. 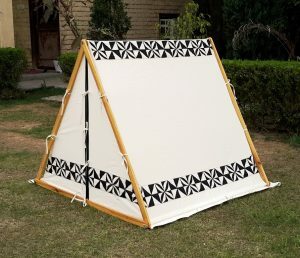 Secondly the frames of our tents are very sturdy and stable and will last for years! 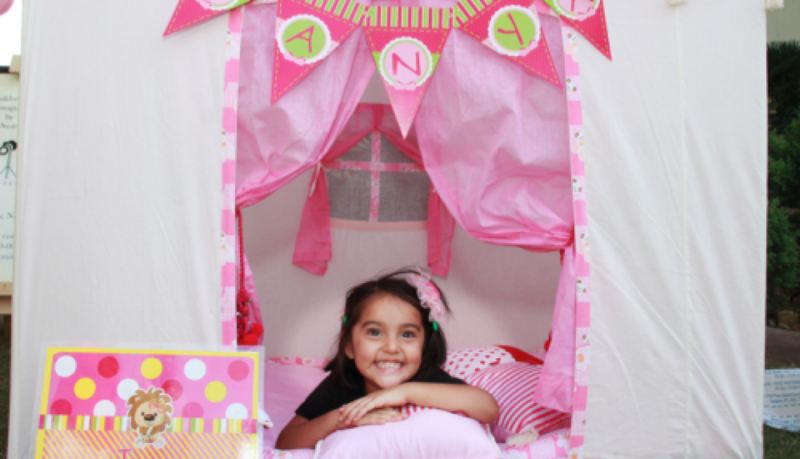 Christmas is the Best time to gift exclusive novelties to Kids. All our Kids Tents & Playhouses are accompanied with matching Floor Mats. 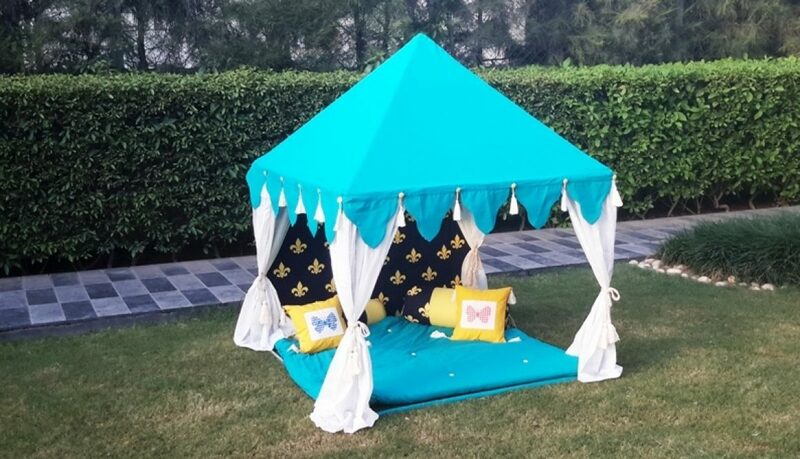 Alternatively, you can also order a Mattress to fit the Tent. 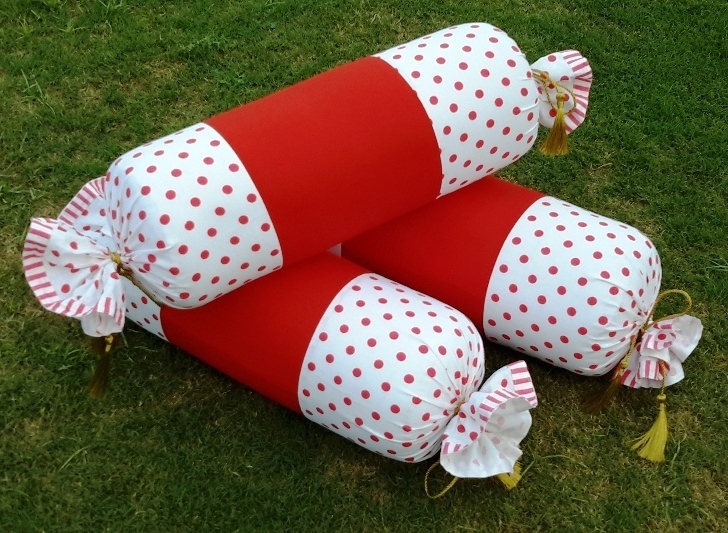 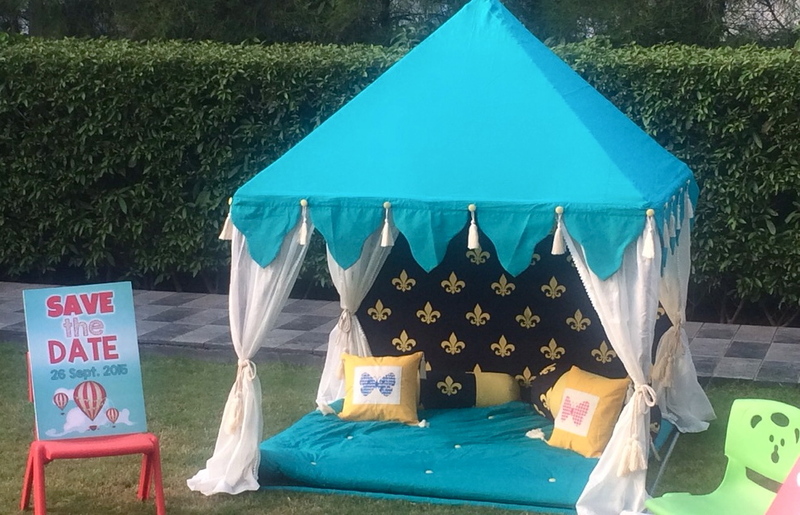 We also provide matching Square Cushions, Toffee Bolsters and Round Bolsters in kids sizes to make them feel comfortable inside the Tent and complete the beautiful look of the Kid’s Tent. 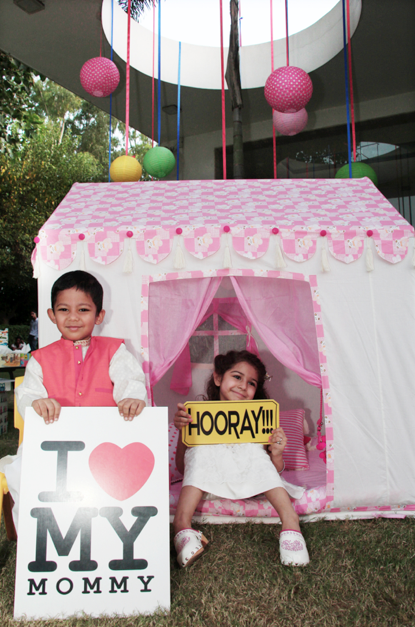 Be innovative while gifting Kids this Christmas ! 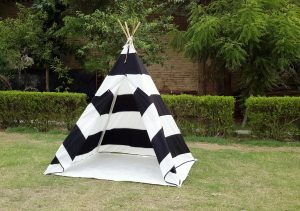 Buy Kids Tents for Boys & Kids Tents for Girls. 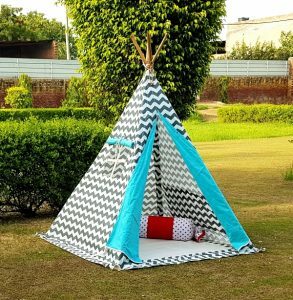 Best gifts for Kids this Festival Season ! 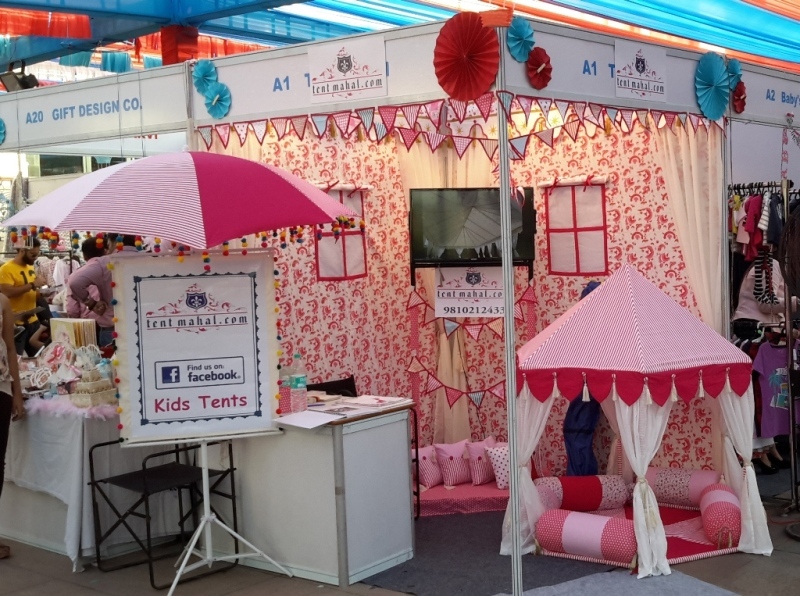 We took our Kid’s Tents to exhibitions and activity displays and we noticed that all Kids love to play in our small tents. 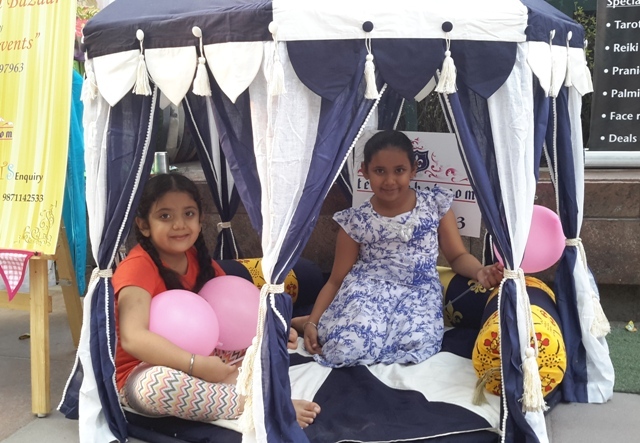 They love to pose for pictures and take selfies too. 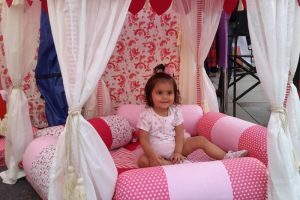 We exhibited our kids tents at City Select Mall this Saturday & Sunday and we had all the kids drooling all over our kid tents. 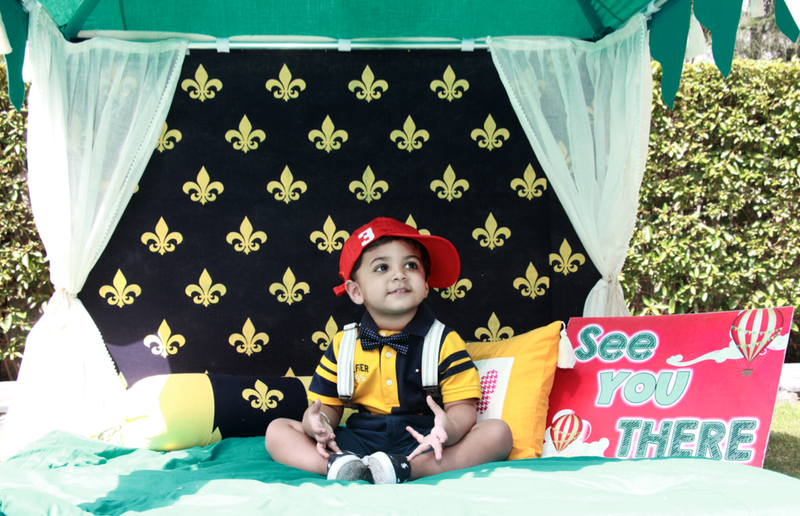 We have captured a few special moments of the exhibition for you. 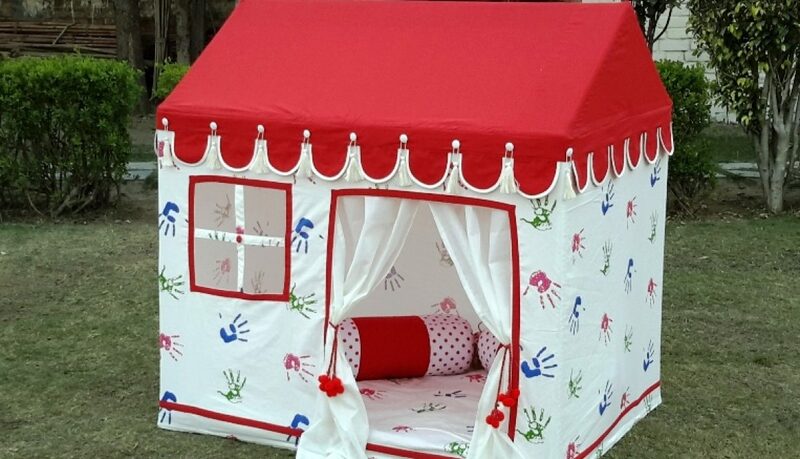 We make the best kids tents, play house for kids, tents for boys, tents for girls, small tents, baby tents and play tents for kids. 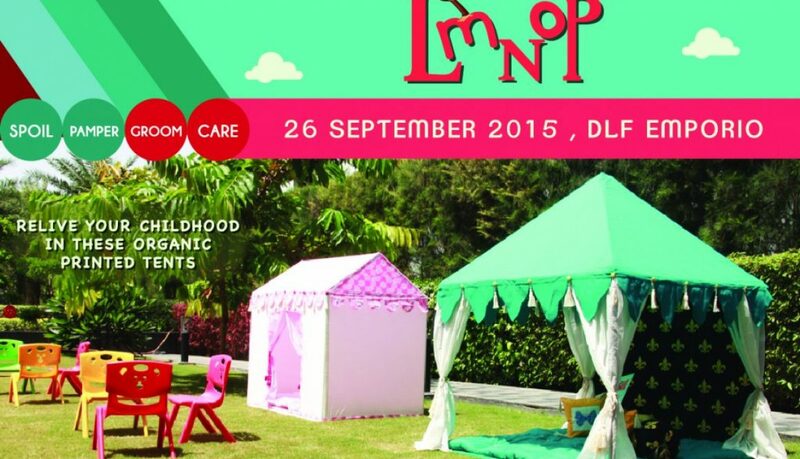 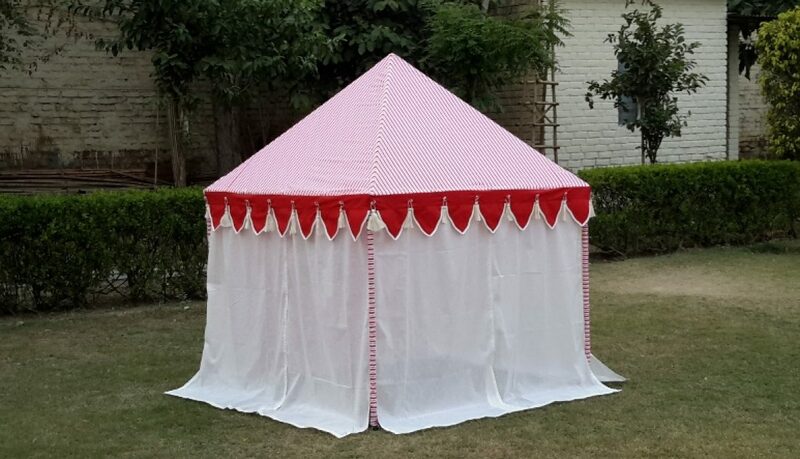 Our tents are made of breathable cotton fabric that is very safe for kids. 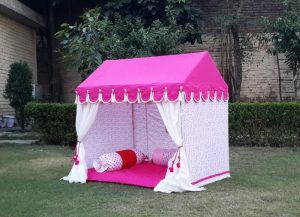 All kids are pretty posers and this in particular is the Kid’s Mahal Tent for Girls. 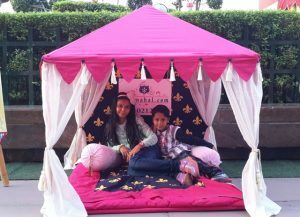 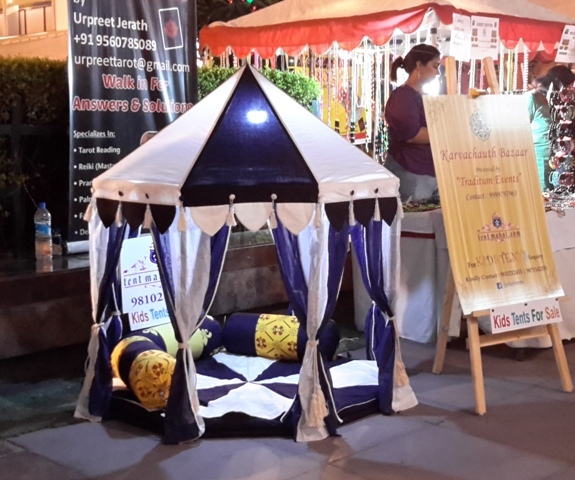 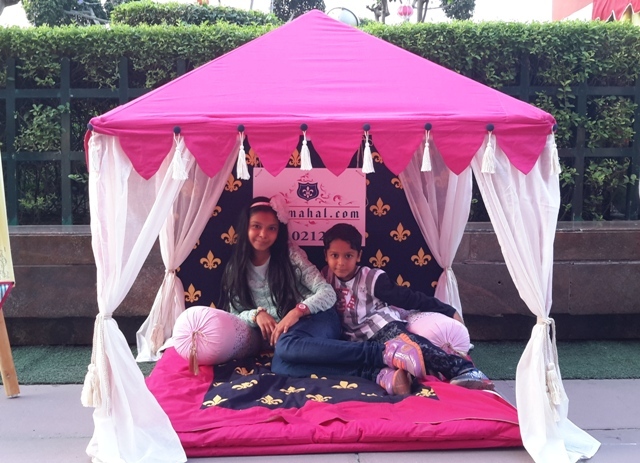 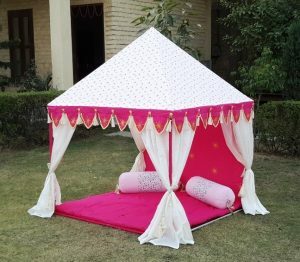 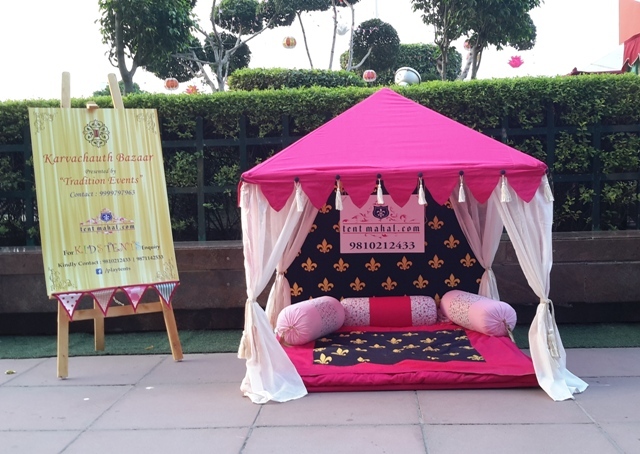 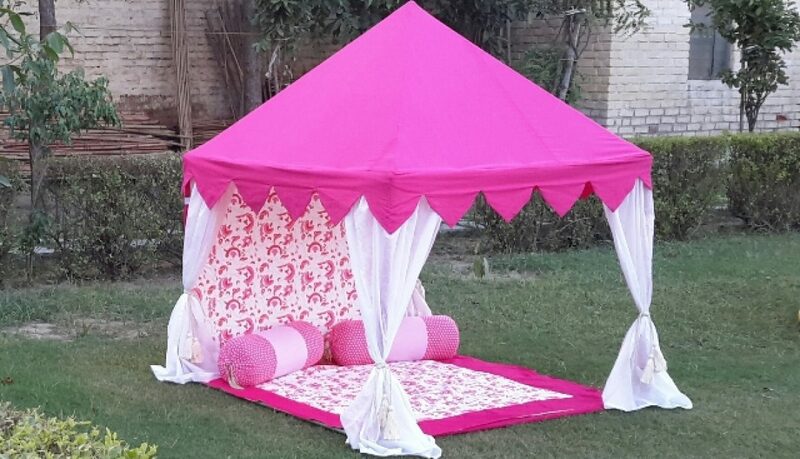 Inspired from the very royal and majestic look of the Taj Mahal our very creative and talented design team has specially designed and developed this open tent for girls. 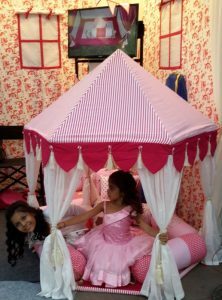 The mattress and bolsters give them the feel of a princess sitting in her private Tent ! 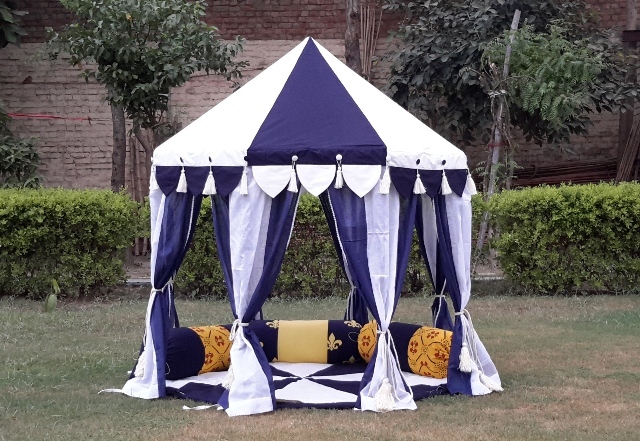 This Round Tent has been inspired from the paintings and wall art of the Middle Ages. 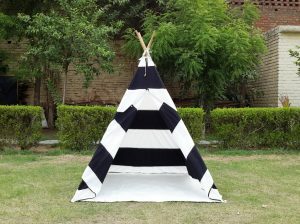 During Medieval Period, the warriors and other high ranked soldiers used these as Living tents and Camping tents. 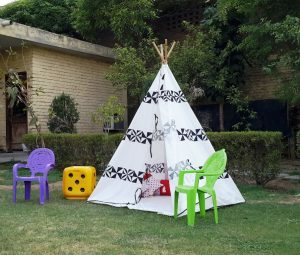 We have re-created history for our children, to play and learn !